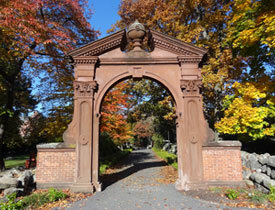 A student’s Ramapo e-mail account serves as the college’s official means of communication. Check your Ramapo e-mail account frequently for information and important deadlines from the Ramapo College community. Please review the Academic Calendar for important deadline dates for the Spring 2019 term. The Schedule of Classes for Summer 2019 and Fall 2019 are now available for viewing. The Registration Time Schedules are now available for the Summer 2019 and Fall 2019 terms. Graduation Applications for August 2019 conferral are due by March 30, 2019. The Registrar requires a completed Official Transcript Request Form for copies of Academic Transcripts. A student’s ID number is a system generated eight digit number preceded by an R. This identifier is provided to current students at Ramapo College of New Jersey for conducting business. Please contact the Office of the Registrar with further questions at 201-684-7695. A student should maintain and review their Emergency Contact Information on Web Self Service on regular basis. The Mission of the Office of the Registrar is to provide a variety of academic services to students, prospective students, graduates, parents, faculty, staff and the general public. Among these services is a well communicated registration process and the maintenance of student records in an environment of integrity and security in compliance with the Family Educational Rights and Privacy Act and other state and federal regulations. After Hours (Office of the Registrar): All correspondence/forms for the Office of the Registrar may be placed in the Office of the Registrar mailbox located outside D-224. After Hours (Graduation Office): Graduation Applications and documentation, may be placed in the gray mailbox located outside of the Office of the Registrar D-224.